Home Hardware What Are The Different Hard Drive File Types? Before data can be stored onto a hard drive or removable media, it must be formatted to a file system. There are multiple different types of file systems a hard drive or removable media can be formatted. But which format is the best choice to use? It depends on the situation. We will discuss some of the most popular formats out there..
NTFS – NTFS, short for WIndows NT File System, is a propitiatory file system created by Microsoft for its Windows line of opperating system. Initially created for Windows NT 3.1, it has been used for all of its NT line of opperating system; including, Windows NT 3.5, 3.51, 2000 and Windows XP, Vista, 7, and 8 as well as Windows Server 2003, 2008, 2008 R2, 2012, Home Server, Home Server 2011 and future desktop and server operating systems. As of right now, most Microsoft’s Windows operating systems support the file format (excluding DOS based operating systems like Windows 9x series). Additionally most Linux distributions support it provided by its NTFS-3G driver. Since Mac OS X 10.3, Mac machines are only able to read NTFS drives, though there are builds for the NTFS-3G driver through FUSE that allow the Mac operating system to read and write NTFS drives. People started to notice that Mac OS X 10.6 have the ability to write to NTFS drives, but was disabled since the feature was unstable and lead to kernel panics. HFS / HFS+ – HFS is a file system created by Apple for use with floppy disks and hard disks on the earlier Mac operating system. Since then, it has been dropped from the Mac operating system starting with Mac OS X 10.6, and replaced with HFS +. HFS + was introduced with the release of Mac OS 8.1 and has since been used as the main file system for the Mac operating system. As of right now, HFS + has been able to be read and written in the Mac operating system since Mac OS 8.1. Additionally, Linux has the ability to read and write HFS + partitions up to 2TB; as drives greater than 2TB have been prone to corrupt the HFS + formatted drives in Linux; though attempts to fix it is in place. In Windows Apple has released a read only HFS + driver for Windows XP and higher; though freeware like HFSExplorer has been created to support reading of these formats of drives. ext / ext2 / ext3 / ext4 – ext, short for extended file system, was created in 1992 as the first file system specifically for Linux. Since then it has been succeeded by ext 2, then ext 3, and ext 4. As of right now, the current file system for Linux, ext 4, only has support for Linux as there is little support for the ext formatted disk for non-Linux operating systems. Currently, ext4 formatted hard drives are not able to be fully read or written on Windows. Current Mac operating systems only allows reading of ext 4 drives. FAT / FAT 16 / FAT 32 – FAT, short for File Allocation Table, is the most compatible format for storing data. Originally designed in 1970 for floppy drives, it has been used in hard drives, USB flash drives, memory cards, and Microsoft DOS and Windows operating systems since Windows 1.0 to Windows ME . Since then, FAT has gone through different variations with FAT 16 and FAT 32. Although it has some advantages, it has its disadvantages. 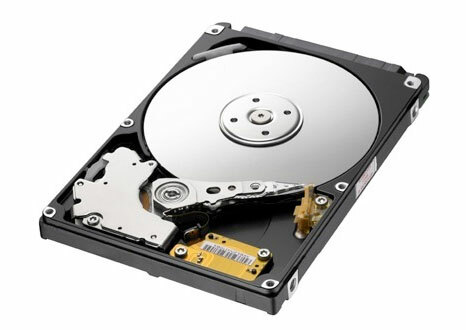 FAT formatted drives do not have built-in mechanisms to prevent newly written files from becoming scattered across the partition; thus de-fragmentation are usually needed to keep the device organized. Additionally, a single file can be at most 4GB and drives can be at most 2TiB. As of right now, FAT is compatible with almost all operating system and devices. exFAT – exFAT is a propitiatory file system created by Microsoft for flash drives in situations where NTFS is not feasible due to its data structure overhead or file size limit of FAT 32. exFAT brings to max to 512 TiB, allowing files to be bigger than 4GB, and more features not in FAT formatted drives. It also increases the speed with which those files can be accessed. The exFAT file system not only facilitates large files for use of audiovisual media, it enables seamless data portability and an easy interchange between desktop PCs and a variety of electronic devices. A number of companies have integrated the file system into devices such as mobile phones, PCs, and cameras. Right now, exFAT is compatible with Windows XP (with an update KB 955704) Windows Vista SP1, and higher as well as Mac OS X 10.6.5 and higher operating systems. Though exFAT is supported in Windows XP and higher as well as Mac OS X 10.6.5 and higher, other operating system as well as devices have little to no support for the file system. RAID – RAID, short for redundant array of independent disks, is a category for storage drives, that allow two or more drives that can set fault tolerance (in case a drive fail) and/or performance. Although RAID is rarely used on personal computers, it is used in servers to store data in multiple places to improve performance and redundancy. Unlike other formats RAID requires either a software or a hardware to implement RAID. You can read more about RAID in our RAID post. Which format is the best for me? For compatibility, FAT file system gives you the ability to read and write in almost any device and operating systems. Though FAT is most compatible, it has some drawbacks. To be safe, if you have a large drive as well as large files and running either Mac OS X 10.6.5 or higher or Windows XP or higher, exFAT will be the best choice to go with.